A common theme amongst women who are into this haircare thing is how much we don’t trust hairdressers with our hair. 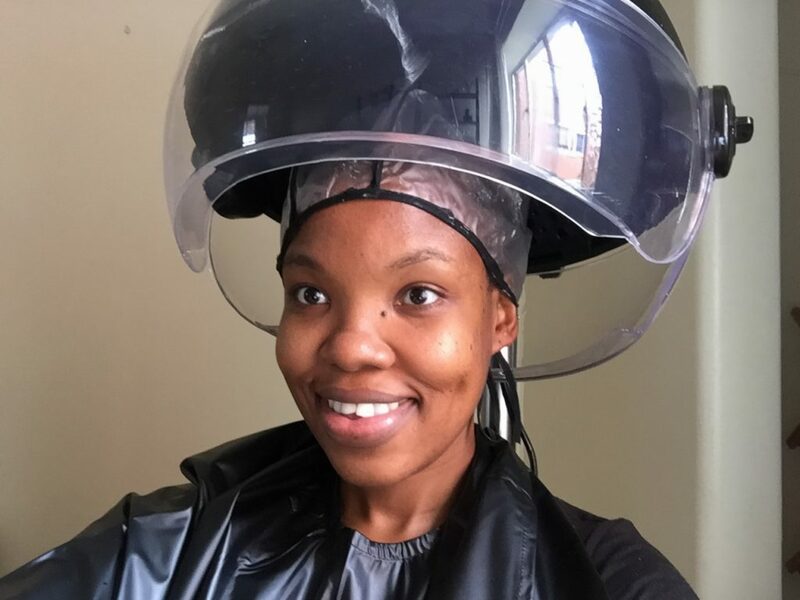 When I started learning about taking care of my hair back in 2012, the first thing that shocked me was how much most hairdressers were not knowledgeable about healthy haircare practices. I need to mention here that #notallhairdressers. This led me to keep away from salons for most of the time, and to learn how to do my own hair, so much so that the last time I went to a salon was 2 years ago :o. However when I heard about the launch of a new mobile hair salon in Durban, co-owned by a naturalista, I jumped at the chance to try out their services and treat myself to someone else (that knows what their doing) touching my hair. 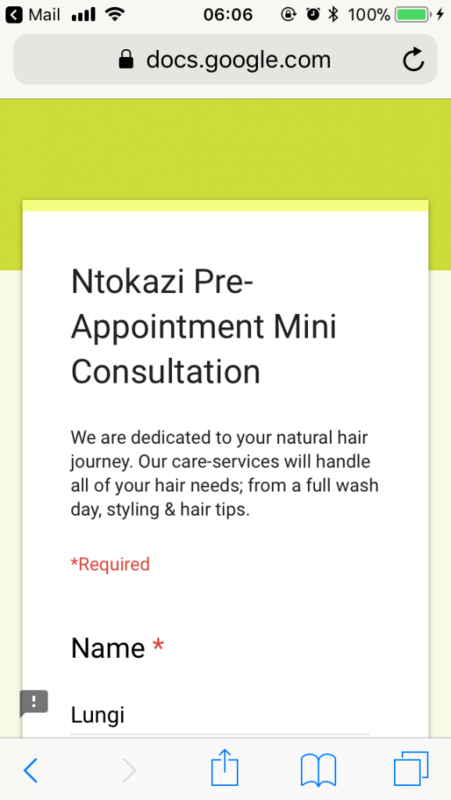 I contacted the Ntokazi Natural Hair Salon team via their Facebook page and booked an appointment, they got back to me within a day confirming the appointment and they also asked for my e-mail address so they could send me a pre-treatment form do fill in. I received the form via e-mail a few days later in which they were asking a few questions about my hair, including what I thought my hair type was and my hair goals. A nice touch was a question asking what I would like to drink during my session – I promptly ticked “bubbles” :). On the day of my appointment, the ladies arrived promptly at 10am and started setting up. The first I got done was a porosity test on my hair, and it came out as expected, my hair has high porosity. We then got into the wash day which consisted of a prepoo, shampoo and deep conditioning. I did appreciate that they only used high quality Design Essentials products on my hair. After applying the leave-ins, my hair was blow dried lightly using cool air in preparation for the cornrows. 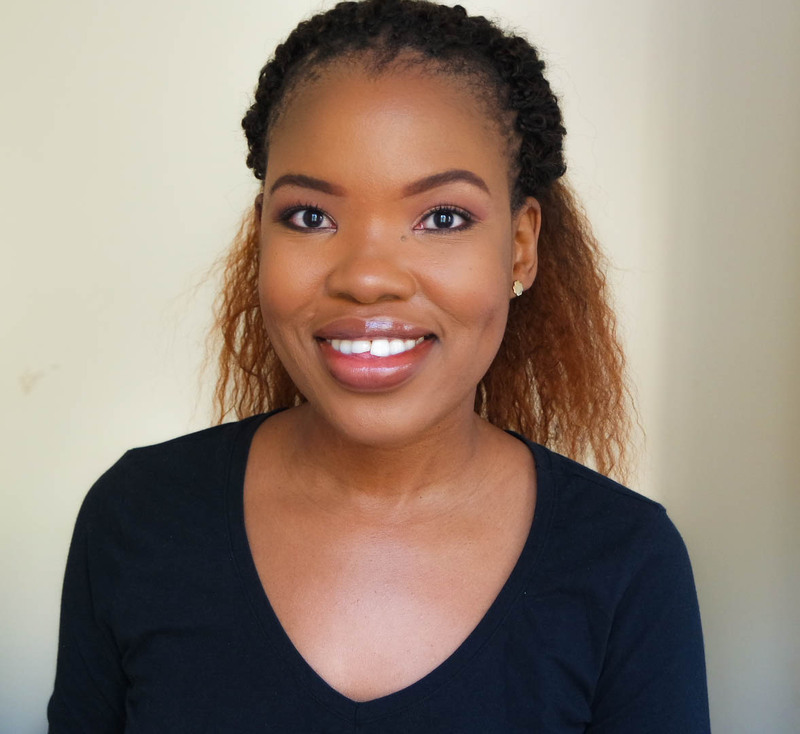 What I appreciated about the service is that it was very professional and I felt so at ease because I knew that the person doing my hair understood natural hair and how to treat it. In the last few months my wash days have spanned over the whole weekend because of having to do other things in between and take care of the little girl. so I loved that this wash day including the cornrows only took 3 hours of my time and I was done. It was also very relaxing to be in my home because I was in my zone and I could be with my daughter in a familiar environment, which is a huge plus for me. 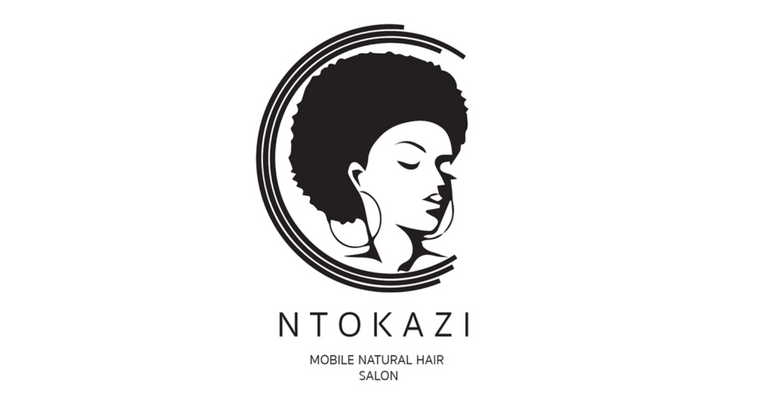 I would 100% recommend the ladies from Ntokazi Natural Hair Salon for your haircare needs if you are around Durban. The service is super professional and the prices are very affordable, I will definitely be giving them a call again. I must try this when I’m in Durban. 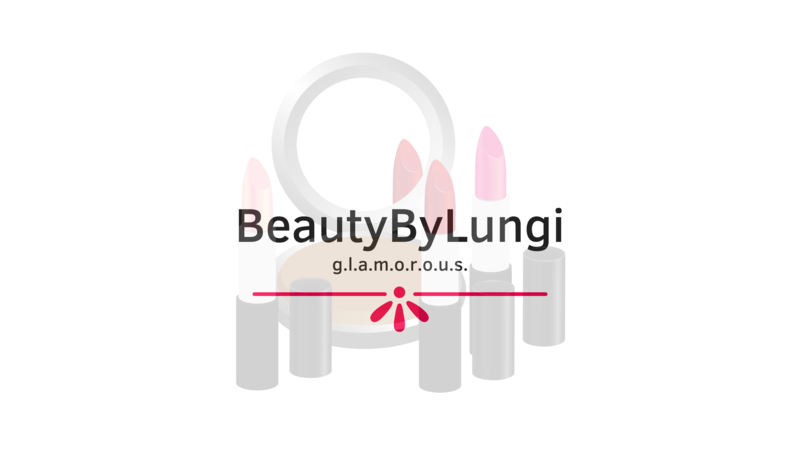 Thanks for review. Sounds so inviting. The pleasure of getting your taken care of in the comfort of your home is awesome!